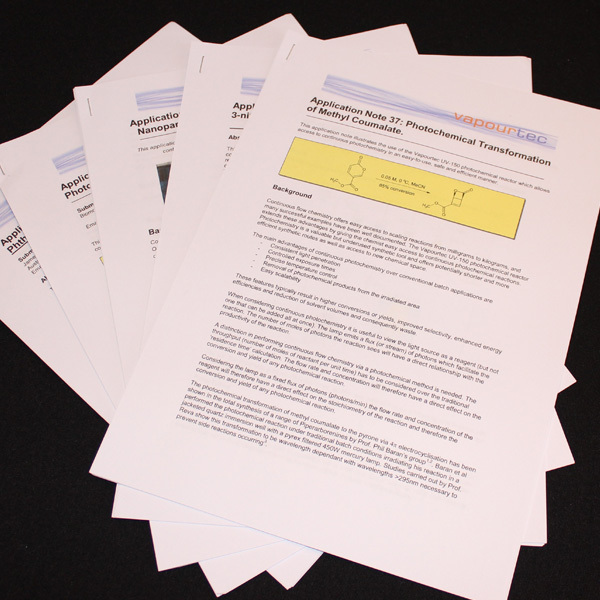 This application note demonstrates a green photochemical route to the reduction of Nitro compounds. 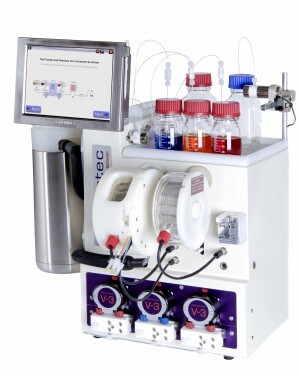 The powerful combination of Vapourtec’s V-3 pump and the UV-150 Photochemical reactor is utilised to deliver the photo catalyst as a slurry and provide precise control over the continuous flow photochemical reaction, even with the short reaction times of less than 1 minute. 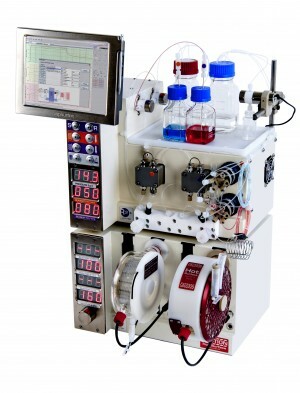 The TiO2 photo catalyst is safe, cheap and simply removed by filtration. There is also a fascinating comparison of the performance of three different 365 nm light sources; filtered mercury lamp, LED Gen-1 and LED Gen-2. The Gen-2 LED achieves comparable throughput of the mercury lamp while consuming <50% of the power.